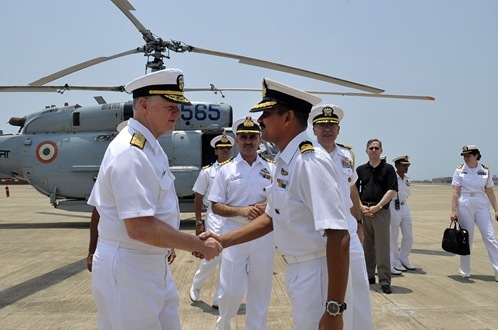 Admiral Gary Roughead, Chief of Naval Operations (CNO) of the United States Navy, is on six days visit to India from April 11. 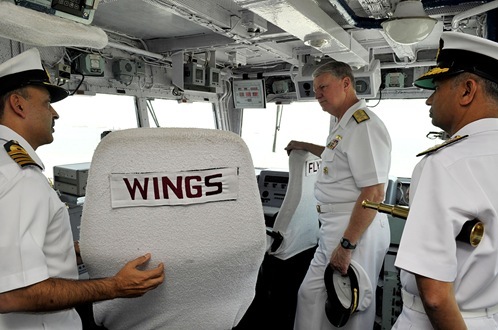 His visit is significant in view of the annual Indo-U.S Malabar exercise scheduled from April 23 to May 02. 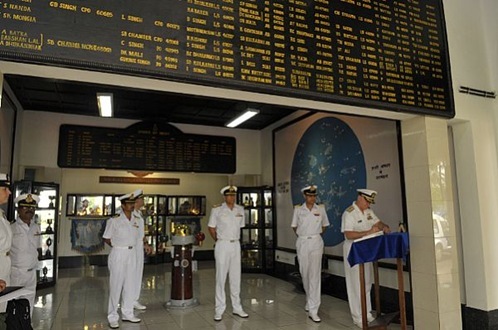 He is expected to visit ships and establishments of Indian Navy in Mumbai, Goa and some training establishments in Kochi. Here is a photograph from Press Information Bureau. 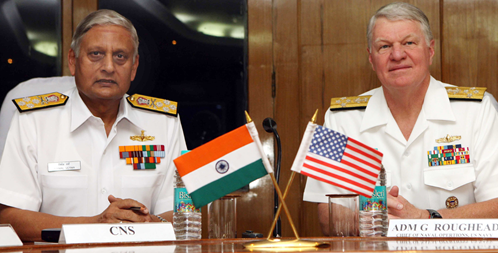 Admiral Gary Roughead, CNO, U.S. Navy with Admiral Nirmal Verma, Chief of Naval Staff in New Delhi on April 12. Here are some more photographs from U.S. Navy.